So you have a twitter account, follow a few relevant people and have a couple of followers, you tweet every now and again but don’t know what else you can do? Here are some tips, ideas and examples of what not to and what to do! Trending hashtags are great to keep an eye on because sometimes they give you a chance to join in and get your brand noticed! 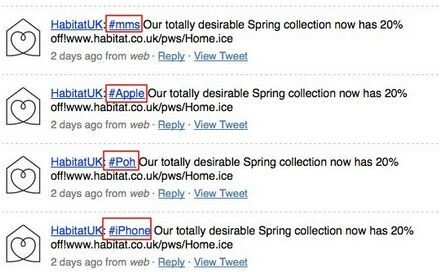 But don’t just hashtag irrelevant things for the sake of it, Habitat is a great example of how not to do it. Sometimes there are no trending hashtags you can get involved with, but don’t worry any relevant hashtags will increase brand exposure. A good idea would be to offer a deal exclusively to your twitter followers, this would encourage more people to follow you and retweet so their friends can get in on the deal too. If you can’t afford to offer exclusive deals just to your twitter followers, promote existing deals via twitter! Keep it short, sweet and straight to the point and hashtag relevant things to get more exposure. Twitter is the social network that never sleeps so make sure you’re not just tweeting 9-5! You can schedule your tweets for peak times if you can’t send them live, but make sure they’re relevant to the time! E.g don’t tweet about breakfast at 10pm! People love to look at pictures, and with only a 140 character count per tweet sometimes a picture is worth a thousand words! It has been shown that photos get more retweets and interaction than just text alone, and the best thing about it is you can take a picture on your phone and upload it straight away! Pictures also give you a chance to connect with your customers on a more personal level. If one of your customers has a complaint or a compliment chances are they are going to take to twitter to share their views, make sure you respond to not just the bad but the good too! Retweeting a customer’s compliments and replying to the complaints would be my advice, nobody wants a newsfeed full of you saying ‘Thank you’ all the time! 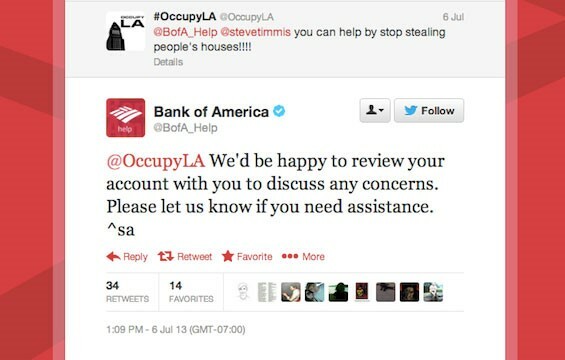 Try to avoid auto replies though!